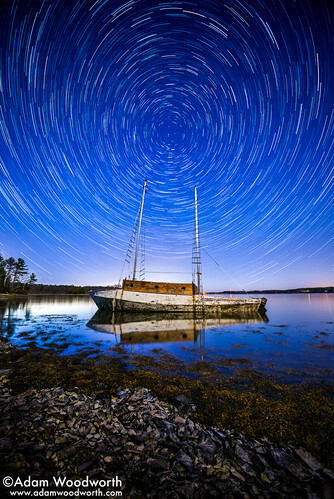 I saw this deserted boat past summer time but completely forgot about it right until I saw latest photographs of it by Katherine Gendreau Photography. I went out to it Sunday night for the duration of the early hours of the Lyrid Meteor Shower. I did not see any meteors, but if you glimpse seriously near you will find a tiny spec of a meteor trail among the masts of the boat.